Collision: If you’re in an automobile accident, regardless of who is at fault, collision insurance provides protection to replace or repair your vehicle, subject to a deductible. Comprehensive: In the event of hail damage or a tree limb falling on your car (risks not involving an automobile collision), this coverage insures you. 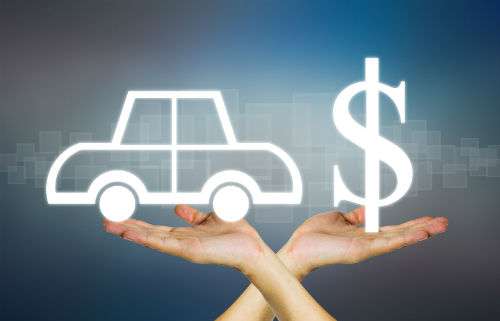 Comprehensive coverage pays to repair your vehicle, subject to a separate deductible. Personal injury protection: This type of insurance coverage is for medical and other expenses resulting from an automobile accident for the people specified in the policy, regardless of who is at fault in the accident. Medical payments: This feature provides a limited amount of coverage for you and your passengers’ medical expenses as a result of an accident. The coverage pays regardless of who is at fault. Bodily injury and property damage liability coverage: The insurer agrees to pay damages if you injure someone or his property in an auto accident. Uninsured and underinsured motorists liability coverage: If you’re in an accident with another driver who doesn’t carry any or enough liability coverage, uninsured or underinsured motorists liability coverage allows you to collect damages that you personally experience from the accident. The following table lists commonly recommended limits and deductibles for various coverage involved in basic auto policies. shouldn’t need this additional coverage. Increasing your liability limits and your deductibles may be appropriate for you if you have cash reserves. The additional liability coverage raises your premium; however, increasing your deductibles helps offset those additional costs. In fact, increasing your deductible from $250 to $500 could reduce your collision and comprehensive coverage premium by 15 to 30 percent. Going up to a $1,000 deductible could save you about 40 percent. You buy insurance to cover big financial risks. If you’re involved in a major accident and cars are totaled, people are injured or killed, and property is damaged, the total financial impact could be hundreds of thousands, if not millions, of dollars. The liability benefits on your automobile policy help to protect you from this financial devastation. You can’t afford to skimp on liability coverage. If you have a much older vehicle or drive your vehicles until they drop, a time will come when maintaining collision and comprehensive insurance coverage isn’t financially worthwhile. A general guideline is to drop collision and comprehensive coverage on vehicles worth less than ten times the cost for that portion of your auto policy. Don’t drop your liability coverage under any circumstance — your old clunker can still wreak havoc in an accident. Besides, your state law probably requires that you maintain liability insurance. And like the money-savvy person you are, you wouldn’t want to put yourself and your family in this kind of financial jeopardy.